If you want to spend more time in-water by extending bottom times, increasing depth, or simply diving in colder climates calls for proper thermal protection which can be provided by using a drysuit, this course is for you. GUE’s Drysuit Primer is a non-certification course designed to prepare divers for drysuit diving using proper equipment and techniques. Anyone interested in the transition from wetsuit to drysuit to allow for longer dives in colder water will be interested in this course. This training is available for non-GUE trained divers and can serve as a basic introduction to GUE system. The Drysuit Primer is normally conducted over one day. It requires a minimum of two dives and at least eight hours of instruction, encompassing classroom lectures, land drills, and in-water work. Venturing into more advanced underwater environments is very often related to longer times and greater depths. 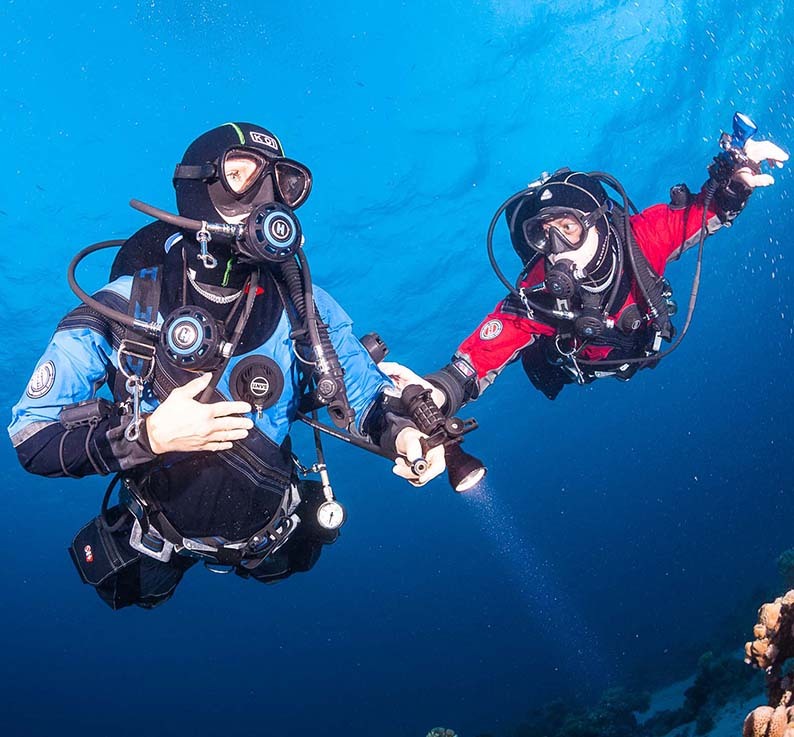 To be able to safely extend both, divers need to increase their available breathing gas volume and add equipment redundancy.